Aberdeen Fun Casinos is proud to be considered, one of the best suppliers of the Fun Casino experience in the Scotland. Don’t take our word for it. See what our customers say! We endeavour to make the casino experience as real as possible. 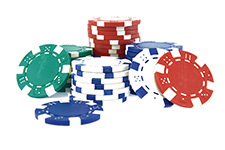 We only use the best quality tables & equipment supplied by a leading casino manufacturer. We only use professional croupiers of which 90% work exclusively for us. They are polite friendly and will be immaculately presented in formal black tie evening wear. Above all, they know how to have fun and will be only too happy to teach your guests how to play the games. 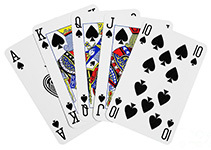 With over fifteen tables we can cater for any size event and we stock all of the popular casinos games including: Roulette, Blackjack and Casino Stud Poker (Also known as Caribbean). Aberdeen Fun Casinos are a great choice of entertainment for weddings, special occasion, corporate entertainment and formal events such as Balls. In fact because they are so versatile we have supplied them for exhibition stands, product launches, conferences, promotions, fundraisers and the odd celebrity wedding or two! Please have a look at our various games that we can provide for your event.